Time Magazine reported that this week marks one year since world leaders met at the United Nations General Assembly in New York City in 2016 and unanimously committed to tackling antimicrobial resistance (AMR). The risks of not doing so were clear: a recent report estimated that if AMR continued to spread at its current rate, there would be up to 10 million deaths globally by 2050. “We are not where we should be,” said Professor Dame Sally Davies, the chief medical officer of England and we will never be as long as health officials continue to wear the blinders of pharmaceutical medicine. Actually, we are exactly where we should be because medical scientists have known for a long time that bacterial resistance to antibiotics is both natural and inevitable. They have always known that antibiotics came stamped with an expiration date that has already passed. 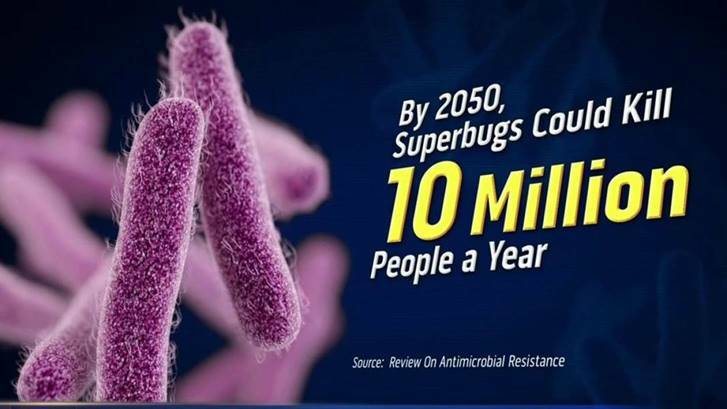 More and more people are dying simply because there is no antibiotic available to treat their infection, infections that not too long ago were easily treated. 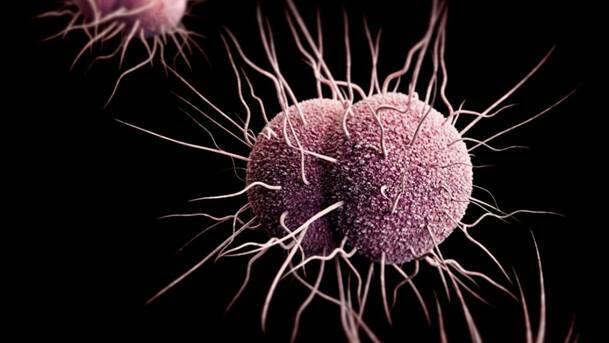 Drug-resistant bugs have continued to spread. Recently the WHO released a report showing what the agency called a “serious lack” of new antibiotics to combat antibiotic-resistant infections that pose a threat to human health. This essay is for doctors and people who want to save millions of lives, and as we shall see below, if iodine is strong enough to take on gonorrhea and syphilis it is strong enough to take on antibiotic resistant infections. There is only one answer on the table, which predates antibiotics, and that is iodine, an essential mineral substance, that viruses, bacteria and fungus will never develop resistance to. Medical scientists and governmental health organizations are refusing to even conceive that an old answer is our new answer. 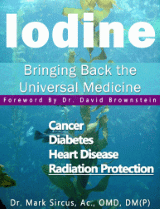 Iodine is a mineral, human life cannot exist without it. Minerals are the building blocks of our bodies. They are required for body structure, fluid balance, protein structures and hormone production. Minerals are a key for the health of every body system and function. They act as co-factors, catalysts or inhibitors of all enzymes in the body. Iodine is the mineral most important to our immune system, which cannot work without it. Iodine is also incredibly important for people who want to avoid thyroid, breast, ovarian and prostate cancer. Iodine supports our immune systems in fending off invaders while it improves our immunity so we are less susceptible to symptoms and illness. Iodine actually repels viruses, fungus and bacteria. Someone who is totally iodine sufficient has a lower chance of catching something like MRSA in a hospital, because superbugs like this one will not thrive in a body with enough iodine. Similarly, the virus responsible for Hashimoto’s thyroiditis—the Epstein-Barr virus (EBV) and all other viruses do not like iodine, because it gets in the way of their advancement. For years the supplement market has been dominated by vitamins, but vitamins and amino acids are useless without minerals because all enzyme activities involve minerals. Minerals are crucial for human health and the fact is today, we just do not get enough of them from our foods. It really is very simple to understand. Minerals are both the cause (when deficient) and the cure of many diseases when provided in abundance. In the case of iodine, we have a very aggressive anti-death mineral that lives up to its reputation by bringing death and destructions to the hordes of any infection if you take enough of it while it helps our own cells to remain healthy. Dr. Jeffrey Dach tells us that, “Antibiotic Resistance is obtained as a trait from other bacteria with the exchange of genetic material called Plasmids. This is called horizontal gene transfer. Sooner or later, every new antibiotic meets with resistant organisms and we need to come up with a new antibiotic.” This is not the case with iodine. Antibiotics are dangerous, not only because they lead to antibiotic resistant bacteria but also because antibiotics bring on fungal and yeast infections thus can be seen as an additional cause of cancer since more and more oncologists are seeing yeast and fungal infections as an integral part of cancer and its cause. With upwards of 20 to 40 percent of all cancers thought to be involved with and caused by infections the subject of antibiotics and the need for something safer, more effective and life serving is imperative. Some antibiotics can destroy a person’s life yet medical scientists moan and groan about going back to iodine thinking we are going back to the “Dark Ages” with its use. Pharmaceutical companies are not coming out with new antibiotics nor should they because we have something better, something crucial for health. Lynne Farrow a journalist, researcher, and author of The Iodine Crisis: What You Don’t Know Can Wreck Your Life shares her own experience with breast cancer that led to the discovery that iodine had been lost as a traditional remedy with proven benefits reaching back 15,000 years. Bottom line is that we can use iodine as an antibiotic that will do more than any other antibiotic that exists. 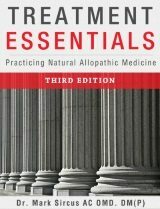 First benefit is we also get antiviral and anti-fungal effects and on top of that we get a broad range of other health effects that Farrow touches on in her testimony. When we realize what iodine has been used for in the past and now again in the present, we begin to realize what doctors have been forced to forget. Resistant strains of the Neisseria gonorrhoeae bacterium have spread around the world. Because the world may soon run out of drugs to treat gonorrhea, some doctors have turned to “Mechanical interventions included genital installation of large quantities of iodine solution instilled by urethral or vaginal catheters.” Even the World Health Organization recommends using a 2.5 percent, water based povidone iodine solution for all neonates for topical ocular prophylaxis for the prevention of gonococcal and chlamydial ophthalmia neonatorum immediately after birth. For syphilis there can now be no question that the drug has curative powers of its own, independent of mercurial action; they are evidenced especially in the later, or tertiary stages of constitutional syphilis, when either the mucous membranes are affected, as in deep ulceration of the fauces, or the bones are attacked with periostitis or nodes, or the skin suffers with rupial or lupoid eruption, or the brain-membranes are thickened, or gummatous deposits are formed in any of the viscera. By causing the absorption of deposits and thickenings in various parts of the body, iodides cure, at the same time, many secondary and dependent symptoms, such as nocturnal pains, neuralgia, paralysis, dullness of sense or intellect, and convulsive paroxysms. The dose of iodide of potash is a matter of much importance, and need be limited only by the susceptibility or idiosyncrasy of the patient, and the progress of the disease; it may vary from 1 or 2 gr. up to 60 gr., two or three times daily, and the best results have sometimes been obtained from heroic doses, when ordinary ones have failed. Elliotson gave 30 to 60 gr., or more, for a dose (Lancet, 1832), and Ricord commonly prescribed the same amount. Sir A. Cooper, Drys-dale, Pollock, and others, have given instances of the value of such quantities (British Medical Journal and Lancet 1867-68); and more recently Dr. Buzzard has pointed out the importance of large doses, especially in syphilitic affections of the nervous system (Lancet, 1873). In the early 1900s, the Encyclopedia Britannica described iodine as being “of definite value” for treatment of multiple conditions including “metallic poisonings, as by lead and mercury, asthma, aneurism, arteriosclerosis, angina pectoris, gout, goitre, syphilis, haemophilia, Bright’s disease (nephritis) and bronchitis” with “usual doses” of iodide salts ranging from “five to thirty grains or more” (324mg to 1,944mg), though this is hundred of times higher than what is considered generally safe per today’s tolerable UL. Dr. Gabriel Cousens states, “Historically, as early as 1911, people normally took between 300,000-900,000 micrograms daily without incident,” which translates into between 300 and 900 milligrams. Most people today, even if they are fighting cancer only have the courage to use between 50 to 100 milligrams but if you are fighting a life threatening infection we should remember medical history and how iodine has been used in the past. When we read that 30 to 60 times these amounts have been used one should consider using a gram (1,000 milligrams) or even more when its either that or death. Dr. Paul B. Beeson had some very interesting things to write about iodine and its use for the treatment of syphilis. Part of the answer to the emergency with malaria and tuberculosis has been known for a long time. As early as June 1, 1905 we see an article printed in the New York Times about the successful use of iodine for consumption/tuberculosis. Drug-resistant tuberculosis is also spreading with the rate of TB patients infected with the drug-resistant strain topped 20 percent in some countries, the highest ever recorded, with rates expected to soar even higher. According to the WHO, outbreaks of drug-resistant tuberculosis are showing up all over the world and threaten to touch off a worldwide epidemic of virtually incurable tuberculosis. Seventeen clinical isolates of Mycobacterium tuberculosis were tested. Povidone-iodine (PVP-I) at a concentration of 0.2% killed 99.9% or more of all strains tested within 30s. All of the strains tested with PVP-I were killed almost completely within 60s. There was no difference in bactericidal activities of PVP-I between standard strain H37Rv and MDR-TB. It was concluded that the commercially available PVP-I product is a useful antiseptic against MDR-TB similar to other M. tuberculosis. Read more on iodine dosages. Encyclopædia Britannica 14 (11th ed.). 1910. p. 725.